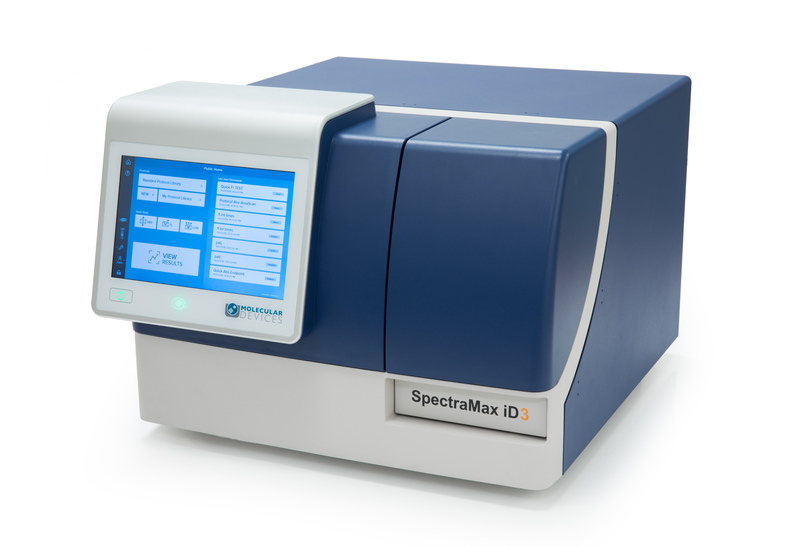 The latest edition to Molecular Device’s microplate reader portfolio is the SpectraMax iD3 Multi-Mode Microplate Reader, a personalised platform for absorbance, fluorescence and luminescence assays. With optimised reagents and the proven data acquisition and analysis tool SoftMax Pro 7 Software, the SpectraMax iD3 allows researchers to customise their workflows to perfectly match their needs. It features a large, intuitive, high-resolution touchscreen and an embedded software package so users can quickly and easily set up custom protocols as well as take advantage of Molecular Devices’ preconfigured protocols. This means that experiments can be run without a dedicated computer workstation. 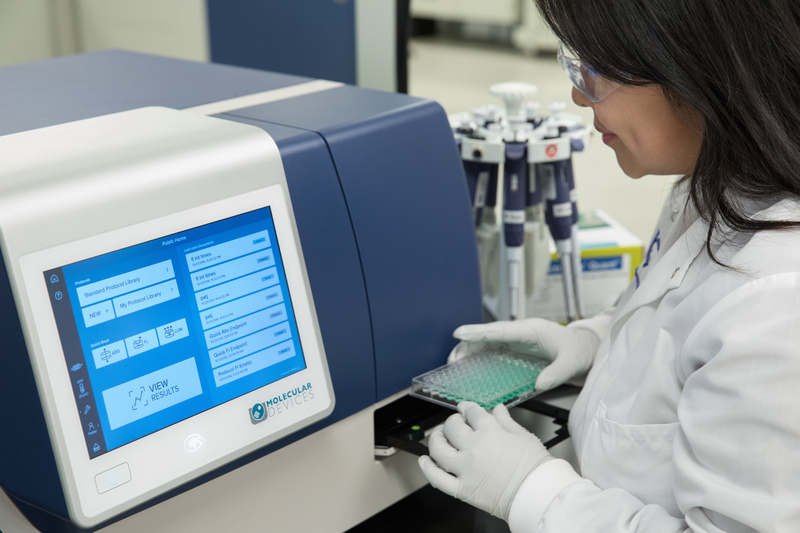 QuickSync technology automatically delivers data to a workstation, eliminating the need to physically retrieve data from the instrument and allowing scientists to walk away from the SpectraMax iD3 to focus on additional research. The system also features a built-in near-field communication (NFC) reader that will personalise the touchscreen with a scientist’s own protocols and results with one-tap from their linked NFC tag, allowing the user to spend more time running experiments and less time searching for their files. It also has a top-end optical system that features a xenon flash lamp and a photomultiplier tube cooled to -5°C that produces excellent luminescence sensitivity, with reduced background noise and a wide dynamic range. Alongside simple-to-use temperature control from ambient to 65°C, the SpectraMax iD3 easily permits temperature sensitive assays. It includes orbital and infinity shaking, a four-monochromator optical pathway and high efficiency gratings, well scanning up to a 20x20 read matrix, spectral scanning, and detection of microplate formats from 6- to 384-wells. The SpectraMax iD3 Injector System with SmartInject technology also permits flash applications such as dual luciferase and ATP assays while ensuring equal mixing across the plate. The high-precision dual injector system can also be used with any read mode and includes safeguard features such as overflow protection to maximise performance and save precious reagents.